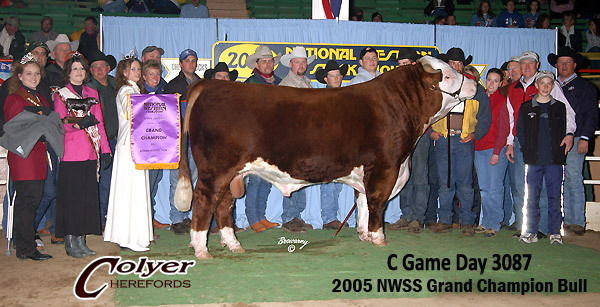 GAME DAY is a full brother to GAME PLAN, the 2003 Denver Grand Champion Bull. He was an exceptional individual in every aspect. 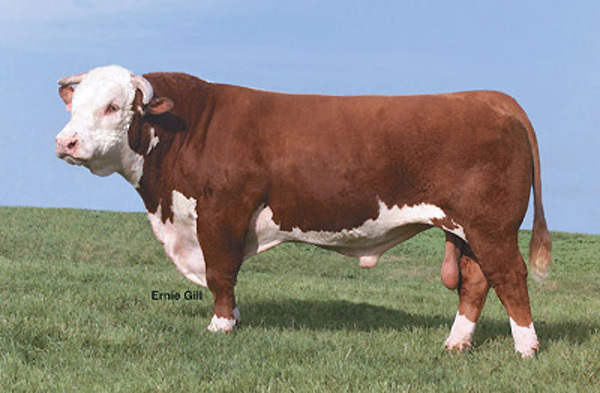 He has the extra width and explosive muscle pattern that is needed in today's cattle industry. 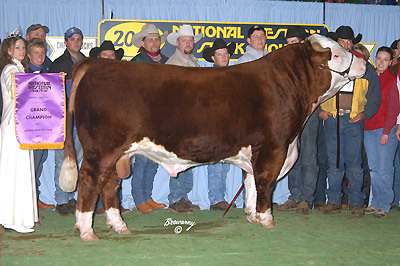 Many visitors to the ranch liked him as well as his popular brother. 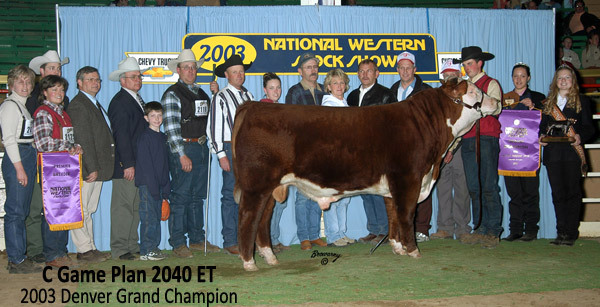 It is impressive that this mating has produced these two great individuals back to back and that both have been raised on their natural mother. 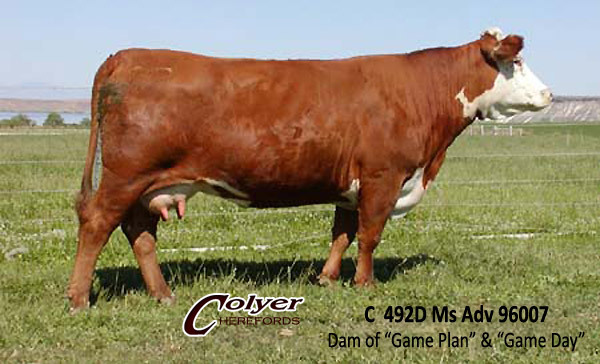 96007 has an average weaning weight ratio of 110 on six calves with a calving interval of 356 days. 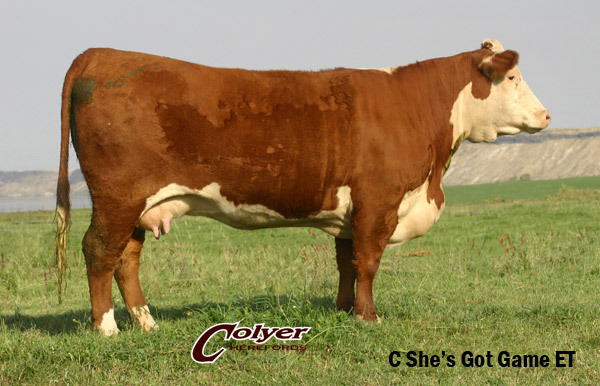 She is a Dam of Distinction and is what you would like every Hereford cow to be. GAME DAY daughters are some of our very best producers. Thank you to the following syndicate members for purchasing a 1/2 interest and 1/2 posession of GAME DAY for $50,000.